With an oral examination and x-rays of the mouth, Dr. Cheung, Dr. Ho or Dr. Sagong can evaluate the position of the wisdom teeth and predict if there are present or future potential problems. Studies have shown that early evaluation and treatment result in a superior outcome for the patient. Patients are generally first evaluated in the mid-teenage years by their dentist, orthodontist, or by an oral and maxillofacial surgeon. At the time of your consultation, your specific situation will be discussed in greater detail. We encourage you to ask any questions you may have. If new questions arise after your consultation, please call our office at Los Angeles Phone Number 310-670-0220 to speak to one of our patient care coordinators. 5 out of 5 stars based on 19 Wisdom Teeth reviews. Everyone here was nice and I felt very comfortable. Dr. Sagong was great. I would definitely come back here if needed. Friendly and courteous staff. Great skill and knowledge from doctor. I was nervous at first but they assured me that everything was going to be ok and walked me through the procedure step by step a few times before to ensure that I understood what will happen. They offer really great service in a clean environment. I can't say enough about Dr. Ho. 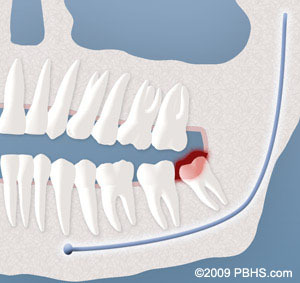 The sheer thought of having my wisdom tooth extracted wasn't the most comforting emotion. The location of my impaction was close to the nerve which Dr. Ho advised me of the possible complications. Before Dr. Ho arrived the staff had me watch a video to educate me about the procedure. Once Dr. Ho arrived he was straight forward about the possible side effects of nerve damage. Being my only option was to extract the wisdom tooth I simply didn't have a choice. Dr. Ho made me feel relaxed about the surgery and was beyond professional. I elected to go under and next thing I remembered was being awaken by the assistant. I had no pain and minor bleeding and swelling. Dr. Ho is very gentle and his level of schooling made me feel at ease even more. Dr. Ho is truly God sent and turned my suffering into relief. I HIGHLY recommend this guy to anyone that is need of Oral surgery, reconstruction and cosmetics. Thank you so much Dr. Ho...I Love You Man!!! I just had all 4 wisdom teeth extracted. The procedure was quick and painless. Dr. Yagoubian was very friendly as well as his assistants. I would highly recommend this dental group to anyone in need of dental work. 5 Stars! My daughter is coming in tomorrow for the same procedure. i will recommend this group of physicians to everyone... especially Dr. Cheung. I trust him so much being in his hands! That is a great feeling to have when bringing your kids in to have any procedure done. Thank you!!!!!! Great Staff and wonderful doctor. made the experience so much better than I thought it would be. I had an excellent experience Dr. Benjamin was superfast and he is No. 1. I didn't feel anything. The nurse was very kind and I am so happy. The staff was very friendly and very professional. We were referred to this office and are so thankful for their service. We would definitely recommend this office to others. 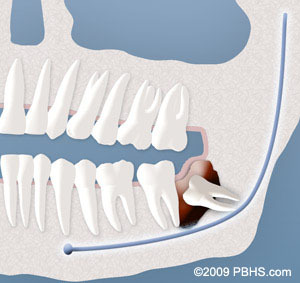 I had dental implants from Dr. Cheung and my experience was great. The staff was professional, kind, caring & would take time to explain and listen to my concerns. I would definitely recommend them to my family & friends. Everyone was very nice. The set up of procedure impressive. Decor beautiful, and clean-very! I've been coming to Dr. Cheung's office for several years. He has seen all my family, my husband, daughter, and I am so happy with the results after having my teeth removed and getting dental implants. The staff makes you feel like your part of a family. My visit was excellent, staff very kind and extremely accommodating. Dr. Ho was very nice, and did a great job. Dr. Ho knew exactly what he was doing, and that made it easier on me. He provided very helpful information, very knowledgable, and the procedure was so fast and easy. Definitely coming back for the remainder of my wisdom teeth extractions. Patient Review By Mateo E.
Patient Review By steven r.
pretty good experience, great customer service, they answered all my questions and they were very helpful. Patient Review By Jesica L.
My wisdom teeth surgery went very smooth. Dr. Cheung was very gentle. Dr. Cheung called me that night to follow up with me! Patient Review By Ignacio L.
I had all 4 wisdom teeth extracted by Dr. Cheung. My surgery went by so fast, I don't even remember falling asleep. The Staff members were so nice and helpful. They made me feel comfortable throughout my whole visit. Thank you for the great patient care! Patient Review By Bob S.